Old Town State Park expansion coming! – Cool San Diego Sights! 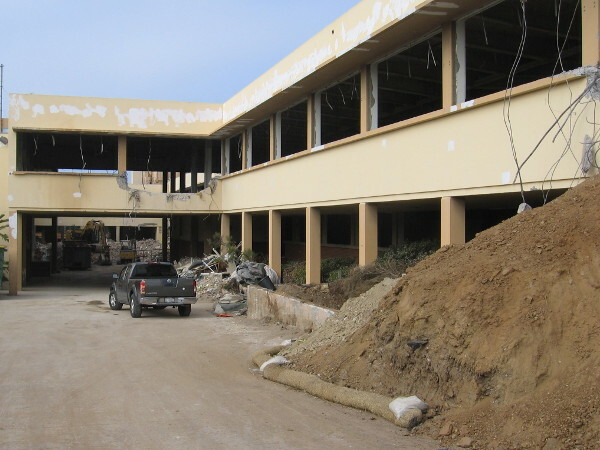 The former Caltrans building at Taylor Street and Juan Street is being torn down, to make room for the expansion of Old Town San Diego State Historic Park. One of the most visited state parks in California will soon undergo a major expansion! 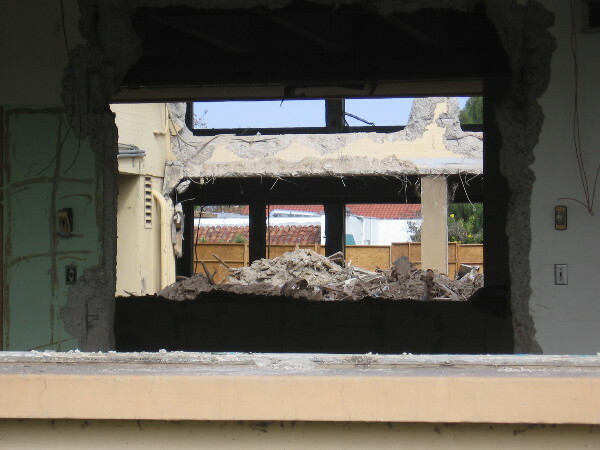 I noticed during a recent walk that the old Caltrans building, located at the corner of Taylor Street and Juan Street, is being demolished. 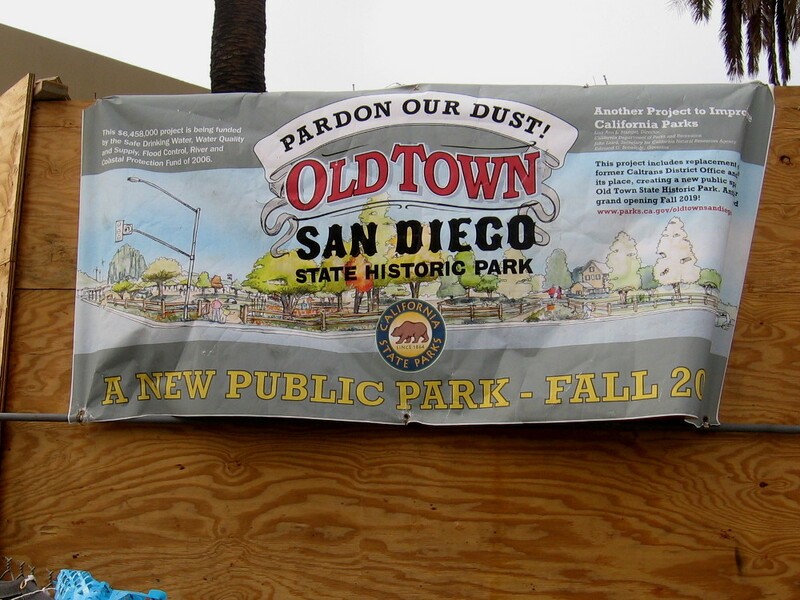 A banner hanging at the construction site informs passersby that this land will be added to Old Town San Diego State Historic Park, and will open to the public in Fall 2019! I spoke to a state park employee and learned that initially the expansion will feature trees and benches. There are plans to eventually have interpretive exhibits or structures in this area that help visitors understand what life was like for the Native American Kumeyaay people, who inhabited this area for thousands of years before European explorers arrived. According to this informative web page, California State Parks is now working with tribal members representing the Kumeyaay Nation to “interpret their culture and their connections to the San Diego River and Old Town San Diego”. I can’t wait to see the completed expansion! Banner at demolition site. 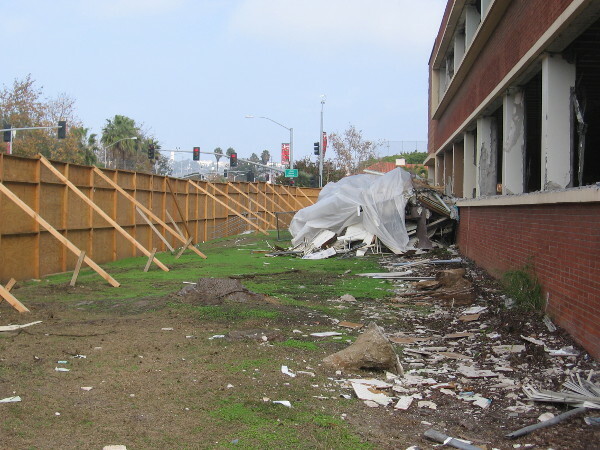 The former Caltrans District Office will be replaced with a new outdoor public space for Old Town San Diego State Historic Park in Fall 2019. Thanks Richard. Now I know what’s going on there. Previous Previous post: Visual complexity at Cesar Chavez Park pier. Next Next post: Fun art at Crown Point Junior Music Academy!